Can somebody really believe this!!! 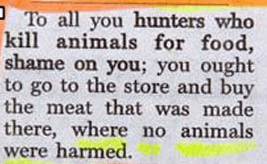 Wonder where did he/she think that meat came from — grown in somebody’s back garden. How many of us associate with this? 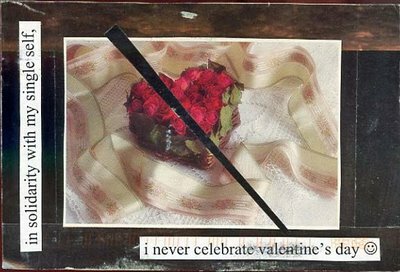 This comes from the Valentine’s edition of PostSecret. Today is St Patrick’s Day so to all my Irish friends, colleagues and anybody that feels Irish, have a wonderful day. Why is all kids not like this …. Have a look at this (Youtube Video) and then tell me you did not get tears in your eyes? To all my Christian readers and friends, may you have a Merry Christmas. Lets make the small things count and rather give than to receive. I am specially thinking of those that are lonely over this period and has nobody to share with. I have a couple of Windows Live Messenger and gMail invites available. If you want an invite then send me an email to marius.bock at gmail.com with either “Windows Live Messenger Invite” or “gMail Invite” in the subject line. I will give them out on a first come first serve basis. If they gone they gone!! !